The Model S-4 Table Top stand model is built to accommodate situations were floor space might be limited. It's the exact same machine as the Floor Stand model, but shorter! We like to call it the "Perfect Coffee Filling Machine!" Build your own machine and get an instant online quote! The Model S-4 Semi-Automatic Scale System is a great first step to take your business from hand scooping to automation. 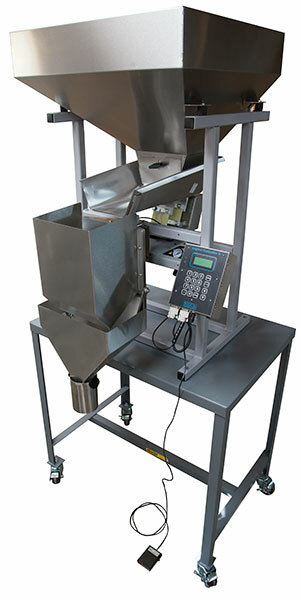 Your bulk product is placed in the supply hopper at the top of the machine. 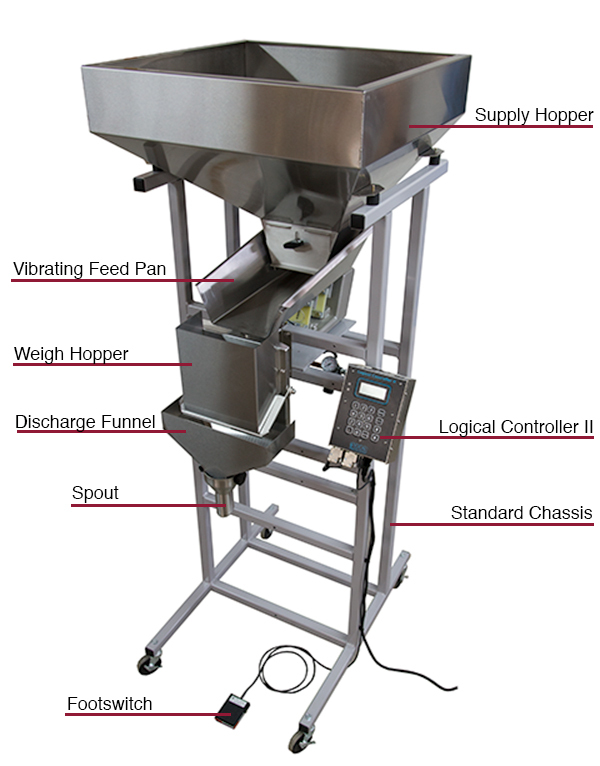 The S-4 uses an electromagnetic vibratory feeder to move the product from the supply hopper to the weigh hopper where it is weighed. 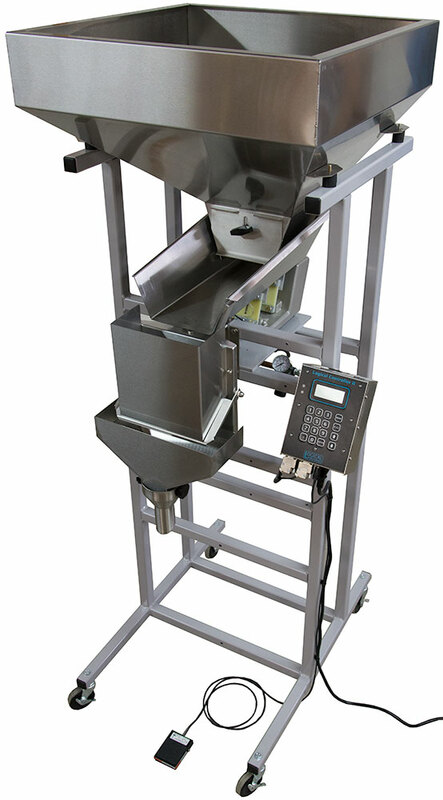 When the target weight is reached, the Controller stops the feeder, and the weigh hopper opens automatically or with the foot switch to dump your product into your container. A new fill cycle is started and your filled bag may now be sealed. For more information on the Logical Controller II, click here. $6,150.00 Standard S-4, F.O.B. Charlotte, VT 05445 — Get an instant online quote using our Quote Generator!